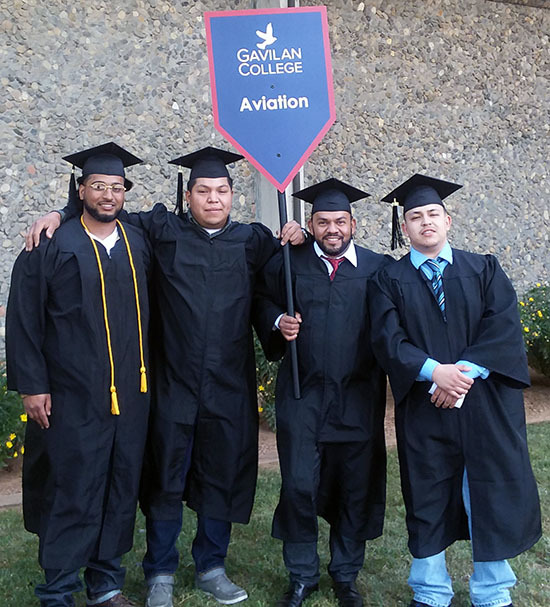 Vishal Singh, Victor Bonilla, Marcos Navarro and Martin Mendez graduate from the Aviation Maintenance Technology department On May 25, 2018 at Gavilan College. 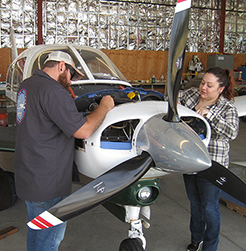 The Gavilan College Aviation Maintenance Technology Program is accredited by the Federal Aviation Administration (FAA) under CFR 14 FAR part 147 and offers Certificate of Completion in Aviation Maintenance Technology for both Airframe and Powerplant. 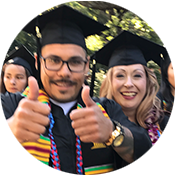 With additional General Education classes, Gavilan College also offers an Associate of Science Degree with a major in Aviation. The Aviation Program follows FAA curriculum guidelines and organizes its class into General (AMT100 & AMT101), Airframe (AMT110 & AMT111) and Powerplant (AMT 120 & AMT121) categories. Each category has two full semester classes. General classes are foundation classes and are required for either an Airframe or Powerplant certificate. Classes are held during the fall and spring semesters. 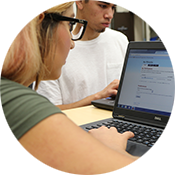 New students can start in either the fall or spring semester. The class schedule is designed for students to take General and Airframe classes concurrently during their first year followed by Powerplant classes their second year. Classes are a mix of lecture and hands-on labs. Classes and labs are held at Gavilan’s San Martin Airport (E16) facility. In addition to textbooks, students are required to provide basic hand tools. Download the Aviation Maintenance Technology Recommended Tool List. 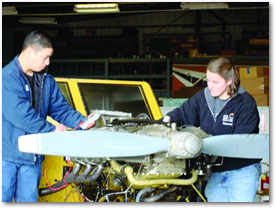 To meet FAA certification requirements, students must achieve the minimum hours for each class. General classes are 200 hours each for a total of 400 hours. Airframe classes are 375 hours each for a total of 750 hours. Powerplant classes are 375 hours each for a total of 750 hours. An Airframe certificate of completion requires both General and Airframe classes for a total of 1050 hours. A Powerplant certificate of completion requires both General and Powerplant classes for a total of 1050 hours. Combined Airframe and Powerplant certificates require 1900 hours. Feel free to ask for a guide tour of facilities and program with one of the instructors.